> TEOTWAWKI Blog: Patches and stickers are up! Patches and stickers are up! 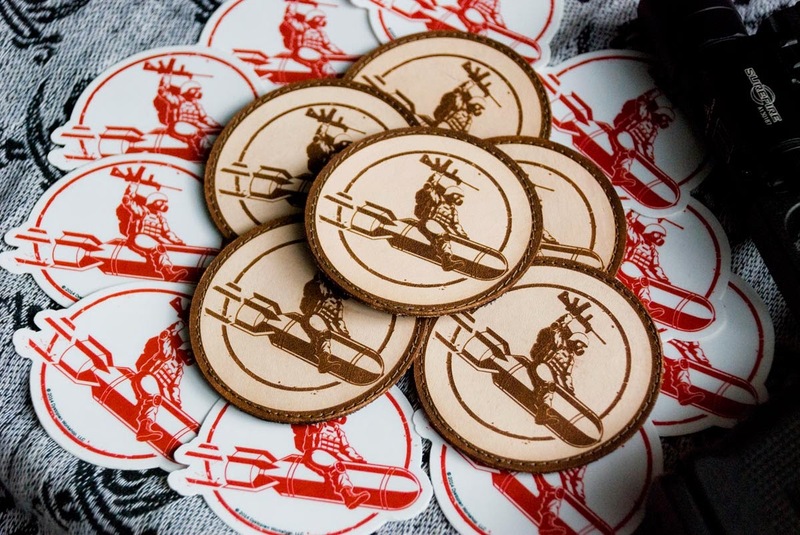 Leather morale patches and hard-use bomb rider stickers are up on our shop for buyin'. Limited quantities of both, especially the patches. US orders only at this time. 7/10 Update: Only a couple patches left in stock! 7/12 Update: Patches are sold out, stickers remain. How many folks are still chompin' for some of our patches?